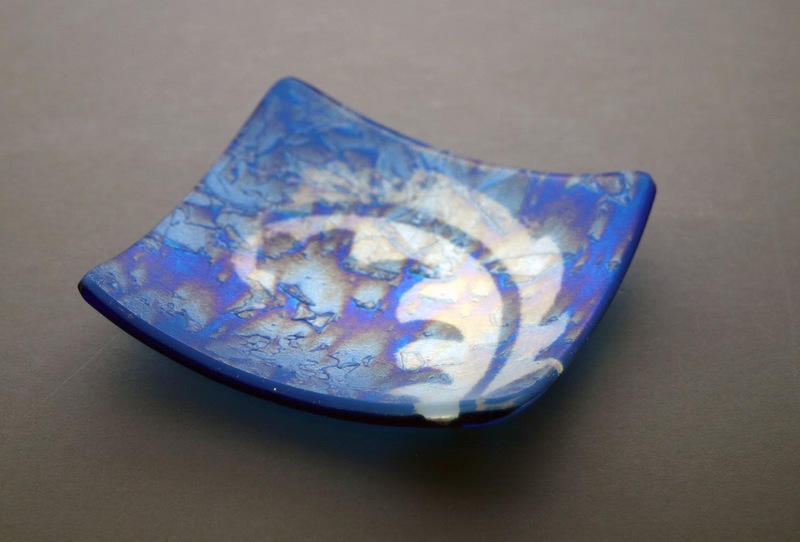 The San Antonio Glass Art Guild sponsored it's Recycled Glass Challenge again this fall. 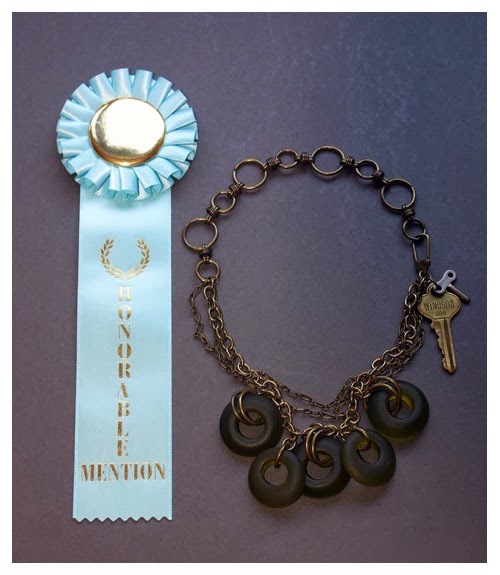 It's a fun oppurtunity for members to step outside the box and work with materials they might not normally include in their work. The event is judged and prizes awarded all in the spirt of fun and exploration. 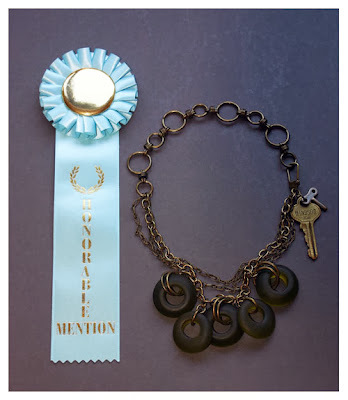 One of my necklaces was awarded People's Choice this year. 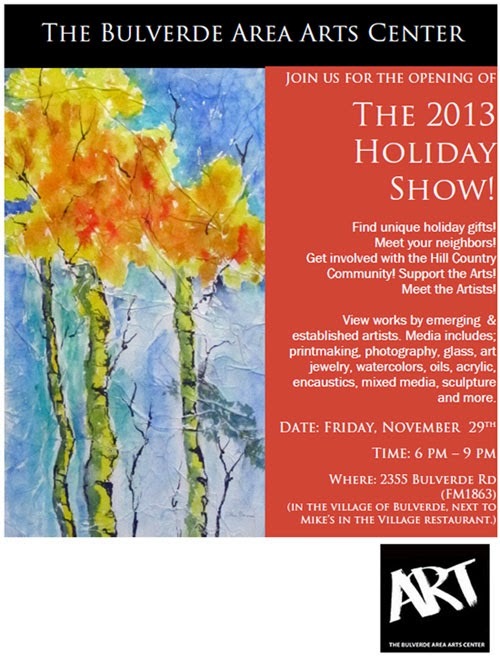 I am excited to be participating in 2013 the Bulverde Area Arts Center Holiday Show. I have several glass plates as well as a lovely necklace all in winter inspired iridecient blues, silver, white and grays. Opening night is Friday, November 29th from 6-9 PM and coincides with the Bulverde "Light Up". What a great way to start the holiday season!